If you are familiar with the Read It Later (RIL) extension for Firefox and the accompanying service, you know how useful this solution is. And the recently released version 2.0 brings a slew of improvements that make this must-have tool even better. The latest release features a completely redesigned interface to provide easier access to the extension's essential features. You can now tag and edit entries in the reading list using the dedicated Edit button next to each item. The Text View button opens a given Web page in the text mode stripped of all graphics and media content. This can come in handy when you are on a slow or expensive internet connection. The clever part is that during conversion, the Read It Later service adds to the page a settings section which you can use to adjust font size, font type, margins, and alignment options. You can also switch between the Day and Night modes. The offline downloading engine that powers RIL has been rewritten from the ground up. 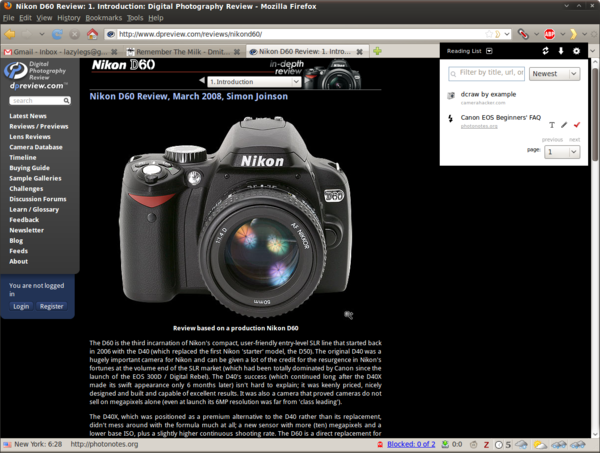 It now offers faster and more accurate capturing of a given Web site. To use RIL for offline reading, you no longer have to switch to the offline mode in Firefox. If you try to access a page from your list and have no connection, RIL will step in and serve you the offline version. If you are already using RIL, you'll get the new goodness automatically during the next extension update. If you haven't used RIL before, do yourself a favor, and go grab the latest version of RIL right away.